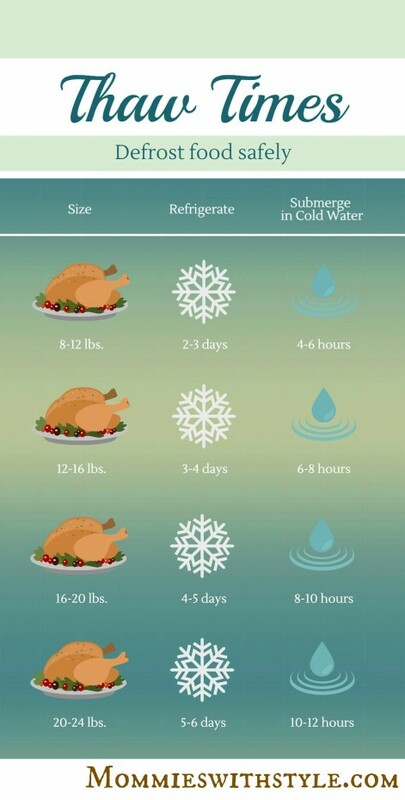 Here’s a handy little infographic to help you with turkey thawing times in the coming weeks! I know I always need to reference these no matter how many times I look it up. Happy cooking!